E-learning courses mean no travel and no time constraints for you. You choose the course, or courses you want to take and then take the course right from any computer at any time. Please see below for classes currently being offered. If you would like to register for a class simply click the Register button. Payment is easily processed with your corporate credit card online. If you need to pay with a PO please contact Nicole Guglietta at nguglietta@mirion.com. Note: The course descriptions that have a , , or are part of the Training Trax "Pathways To Expertise" program. This course covers the complete range of gamma spectroscopy principles from a review of radiation detection principles to evaluation of results and everything in between. This is a concentrated, concise course that includes a practical approach to all aspects of gamma-ray spectrometry. This course is presented as a self-directed “E-Learning” experience that allows coverage of the training materials at whatever time and pace is best for each student. 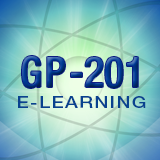 This E-Learning course is intended to serve as the second foundational step for further study in gamma spectroscopy software and hardware theory and operations within Canberra’s “Training Trax” program. This course is not a hardware or software operations course but does include an introduction to Mirion gamma spectroscopy software. The course includes progress quizzes and a final exam for credit within the CANBERRA TrainingTrax program. This course expires 60 days after registration.